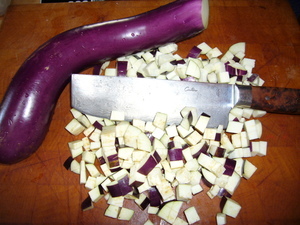 Leave the skin on the eggplant, and cut into fine (1/4 inch) dice. Sprinkle lightly with salt, and put into a collander. Put a plate on top of the eggplant, and a weight on top of that. Let sit for about 1/2 hour to drain. Saute the onion and celery in 1/3 the olive oil. 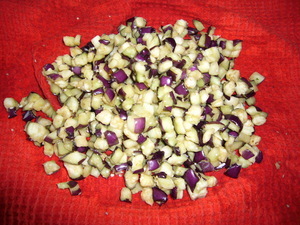 Cook over moderately high heat till translucent, about 8 minutes. 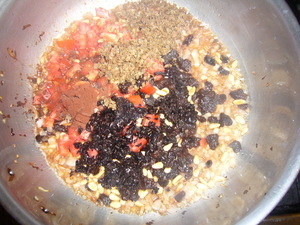 Add remaining ingredients, except parsley, and cook for about 10 minutes, covered, stirring now and then. 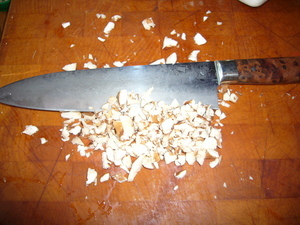 Mix the mushrooms in and saute another minute or two. 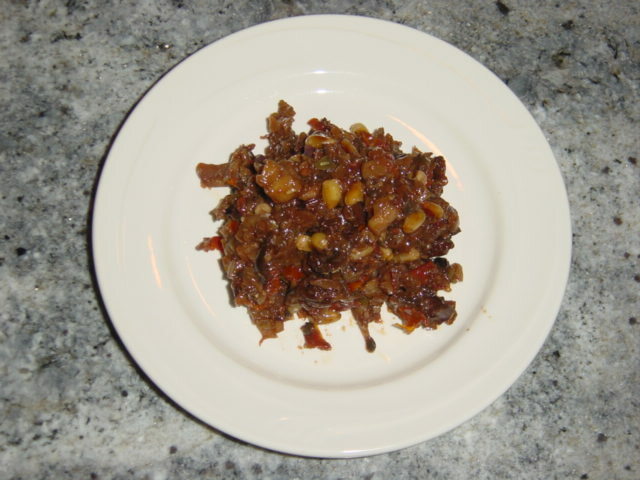 Saute in 1/3 the olive oil over moderately high heat till eggplant becomes tender and starts to brown. 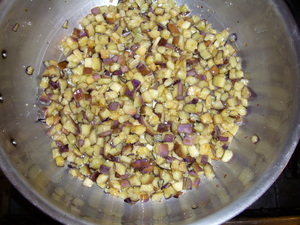 Add mushroom mixture to the eggplant, and mix. Allow to cool, and then put in fridge till well chilled. Mix in the parsley. Do your prep in advance. 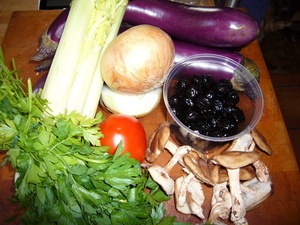 Rinse the eggplant, drain well, and wring dry in a towel.